PAYMENTS: Monthly payments are due the first lesson of each month. After the 10th of the month, a $15 late fee will be charged to all accounts with unpaid tuition. There is a $20.00 charge for returned checks. RECITAL: Our dance recital is typically held the first Friday, Saturday and Sunday in June. We encourage all students to participate. REFUNDS: Tuition is the same each month. There are no refunds, credits, or deductions for missed classes. If a student is absent, the full monthly fee must be paid. The student is entitled to make-up the missed lessons. If you withdraw on or before December 1st the costume portion of your monthly payment (previously paid) will be refunded. If you withdraw after December 1st, your costume will be cancelled and no refund will be issued. HOLIDAYS: We are closed on the Wednesday before Thanksgiving, THANKSGIVING WEEKEND, CHRISTMAS BREAK, PRESIDENT’S DAY, SPRING BREAK, and MEMORIAL DAY. We are open on all other National Holidays and are ALWAYS OPEN on teacher workdays. Remember: tuition is the same each month regardless of holidays and there are no credits or deductions for missed lessons. HURRICANE CLOSURE: In the event of a hurricane warning issued for Miami-Dade County, we will close the studio in accordance with the closure of the Miami-Dade public schools. The studio will re-open when it is deemed safe to do so. If you have a question regarding the re-opening of the studio, please call or come by the studio. DRESS CODE: Proper dance attire is expected of all students. 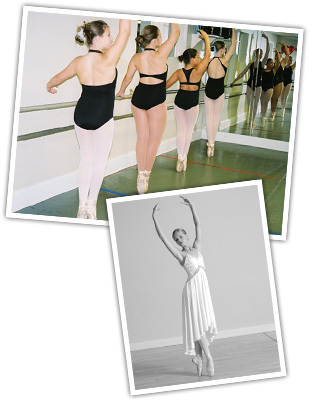 See the page titled “Dress Code” for the proper leotard, tights and shoes for your class(es). Students should arrive on time, dressed and ready for class. Hair must be in a bun if it is long enough and please leave your jewelry at home. Label all dance shoes and other personal belongings. The studio cannot be responsible for lost items. DROP OFF/PICK UP: Students should arrive no more than 15 minutes before class time and should be picked up immediately after class is dismissed. Please do not leave unattended brothers or sisters in the waiting room. We cannot be responsible for them. Your cooperation will be greatly appreciated. DECORUM: Students are expected to be cooperative and respectful in class. Students that are disruptive will be dismissed from class.